Seema Duggal is the editor of this site, which she created because she thought that maybe if she got the words OUT they would stop swimming around inside her head. Her theory has been proven wrong. She started as a journalist in news, made the leap into fashion PR, and went back to writing before her soul was completely sucked out of her. She now directs this site and her online store, Final Episode. She thinks sleep is overrated. She started this writing project for many reasons, some of which included love of her adopted city, boredom, an infatuation with language and a genuine appreciation for cool people. If you’re one of them, send her an email or follow her on Twitter. You can also check out her personal blog. She sure loves having websites! Kristen Hodges hopes that being a writer will one day pay enough to support her burgeoning handbag addiction; till then she masquerades as a geek during daylight hours. Notwithstanding short stints in Milan, London and an aborted NY attempt, Kristen has lived in Sydney her entire life. From time to time she makes short films – unfortunately she has the visual talent of serial killer John Wayne Gacy. 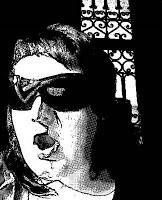 You can also find Kristen at online mag Cheep Peeps (a middle class manifesto), at The Group (where she pretends she’s a grown-up) or at nerd-ville central SharePoint Magazine (you must be bored). Send her a message. 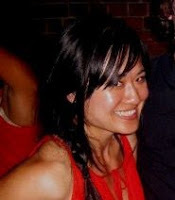 Lisa Zhu is a part time designer/photographer/fitness coach and a full time instigator of half baked ideas. Early childhood exposure to Xanadu and The Wonder Years left Lisa with unrealistic expectations for extraordinary music, gorgeous dresses and rollerskating skills. She subscribes to the ‘everything is legal if you don’t get caught’ philosophy to living. Contact her here to participate in impromptu adventures. Jonno Seidler first wrote a poem for his girlfriend when they were ten. Since that initial smashing success, he’s grown at least two feet, become a music journalist and gotten over rhyming couplets. Most of Jonno’s stories or poetry ideas come to him in the middle of the night right when he’s about to nod off to sleep, which is not nearly as romantic as it sounds. You can email him here.